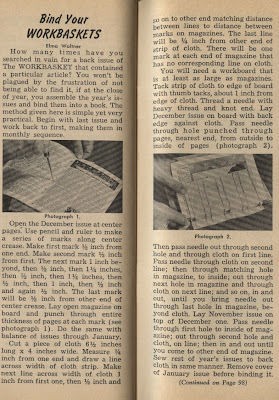 As a collector of vintage magazines, I'm sitting uncomfortably on the fence on this one... 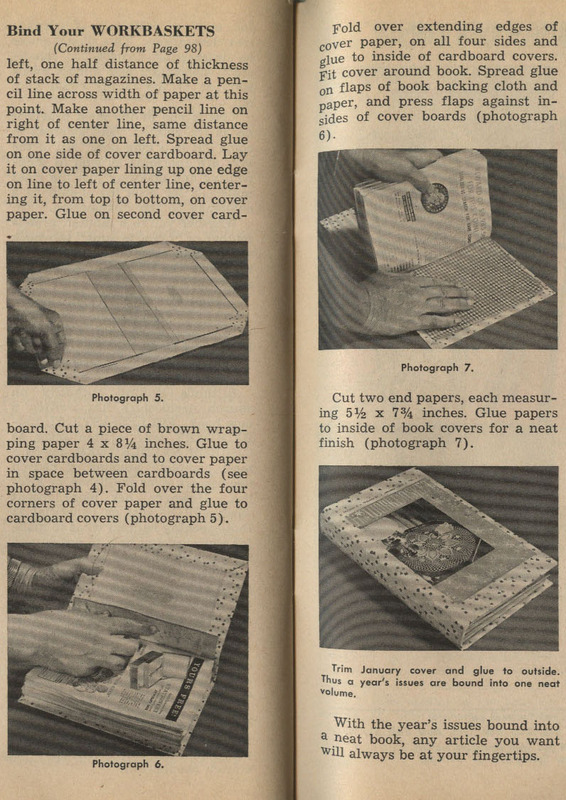 In some ways binding your own magazines is a better way to protect them through the years, so that's a good thing; but you do risk damaging them as far as collectors of pristine items go. However, I'm not a collector who is concerned with pristine conditions at the price of rendering vintage publications useless. 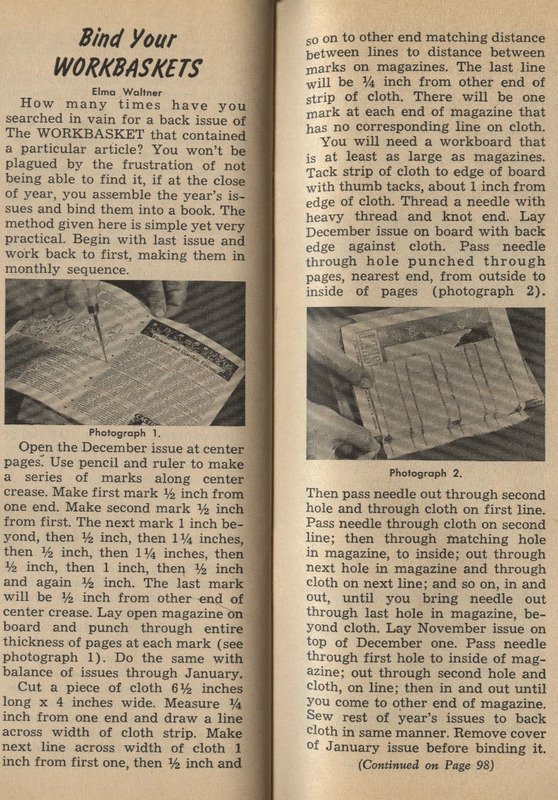 I'm more about vintage items living on and this how to article in the February 1964 issue of Work Basket does seem to be a thrifty way for homemakers to save past issues of magazines they wish to save as resources. Very cool! What a great post!